FIND OUT ABOUT ALL THE EXCITING EVENTS WE HAVE IN STORE AND SCROLL BACK TO FIND OUT ABOUT SOME OF OUR PREVIOUS ONES. 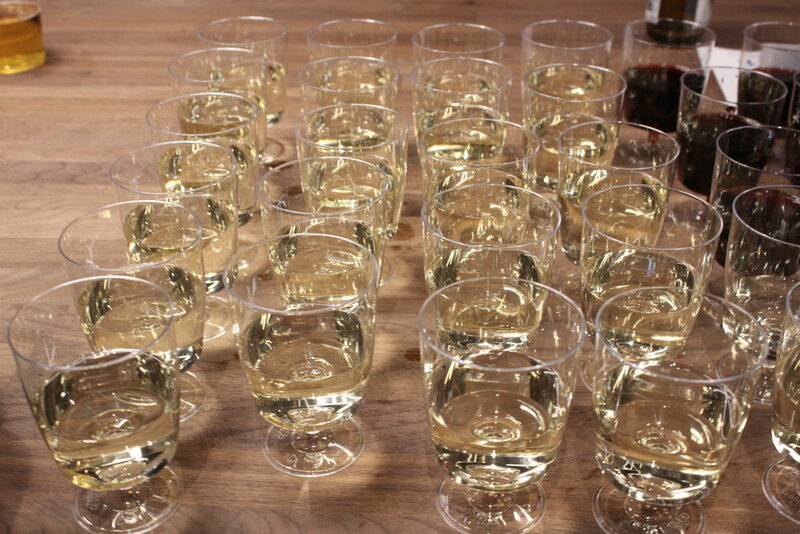 Do you have an event you would like us to host? Email info@cre-ation.co.uk with your idea. We are always interested in hearing from our members, and making sure we are delivering the events you want. Wellness is becoming the buzzword of this generation, but what does it actually mean and how is it being implemented in the property industry? Our breakfast panel will explore the latest trends, standards and certifications shaping this sector. 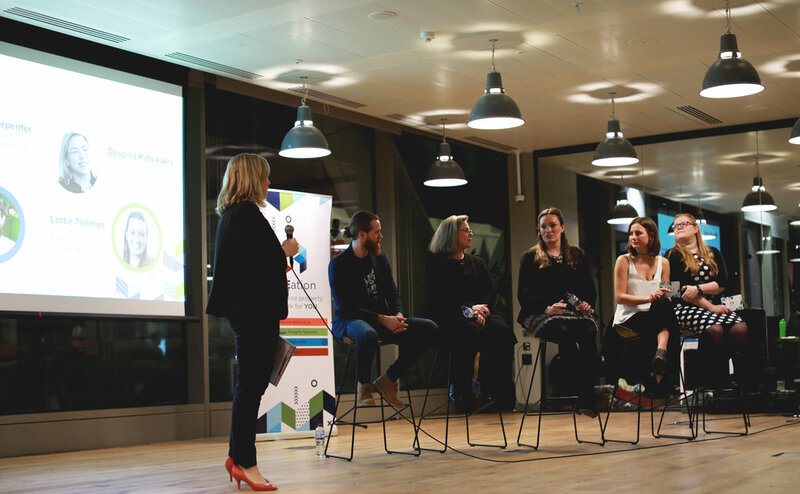 We will hear how top neuroscientists are shaping our cities, how wellness is being incorporated into our homes and understand just how vital the office building is to the wellbeing, mental health and productivity of employees and tenants. Join us for healthy morning treats and networking as we discuss the next big thing - Wellness in Real Estate. Fire! What happens when you experience a large loss, be it a large fire or flood, and how does this impact occupiers and owners? Following the Grenfell Tower tragedy this has been a topic of much discussion. Luckily one of our wonderful sponsors, Lockton Companies LLP are pretty clued up when it comes to assessing risk and reviewing perils and are hosting a lively discussion to educate us in what happens in the event of a large loss. 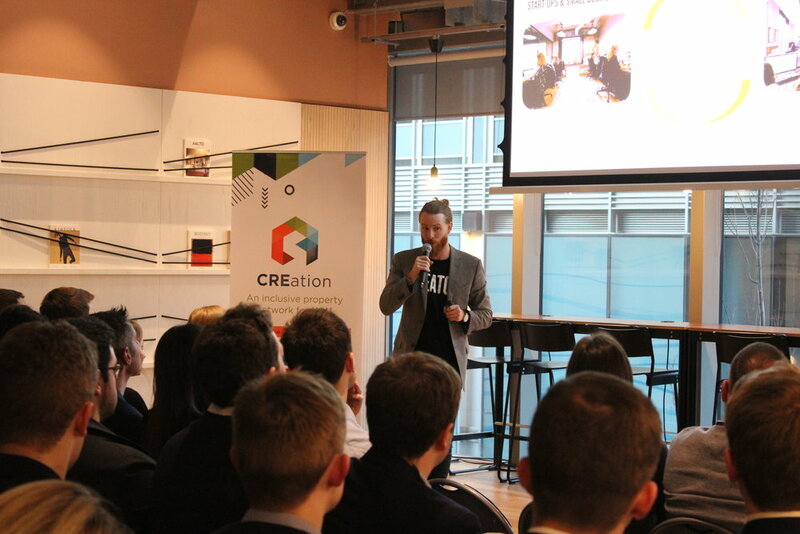 CREation Manchester hosted a lively debate focused around the Future of Residential development, whether it be Spinningfields, Northern Quarter or Salford the demand for housing remains robust. 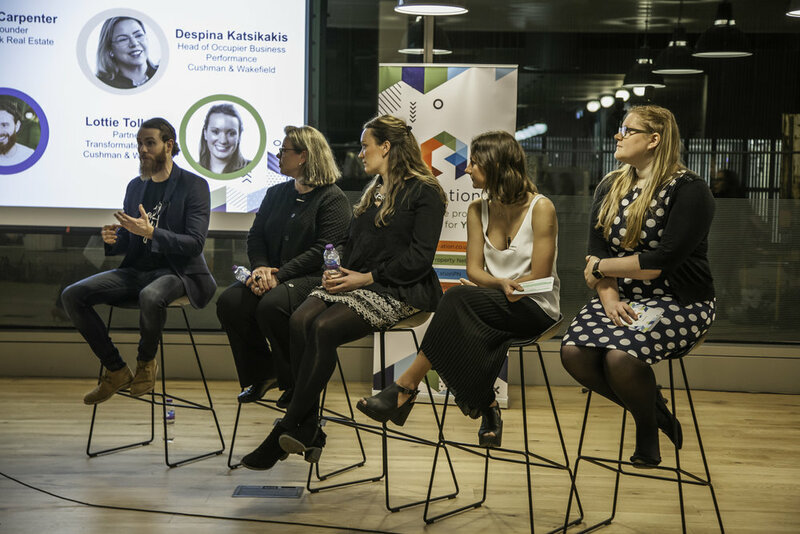 With a panel of industry experts we gained an insight into a range of developements, be it New Homes or Build to Rent in an ever evolving city. 0n 23rd January 2018 we launched CREation! It’s been a whirlwind year and we wanted to thank all of our members for your endless support and enthusiasm by throwing a birthday party at Pergola in Paddington. 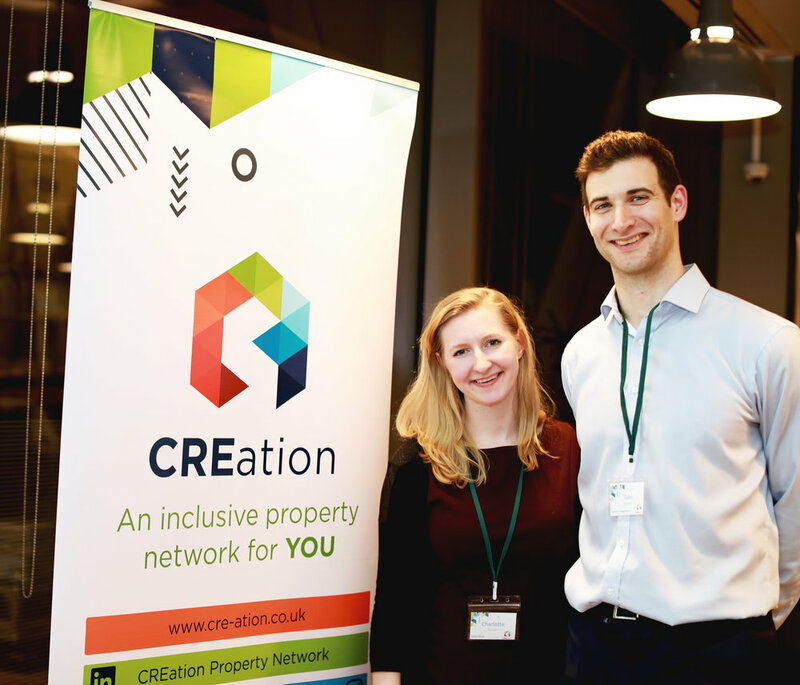 100 members joined CREation for a Christmas social in collaboration with Regeneration Brainery at one of Manchester's most exciting mill developments. Crusader Mill is a 180-year old, formerly derelict mill, that is being restored by Capital & Centric into awesome loft apartments. 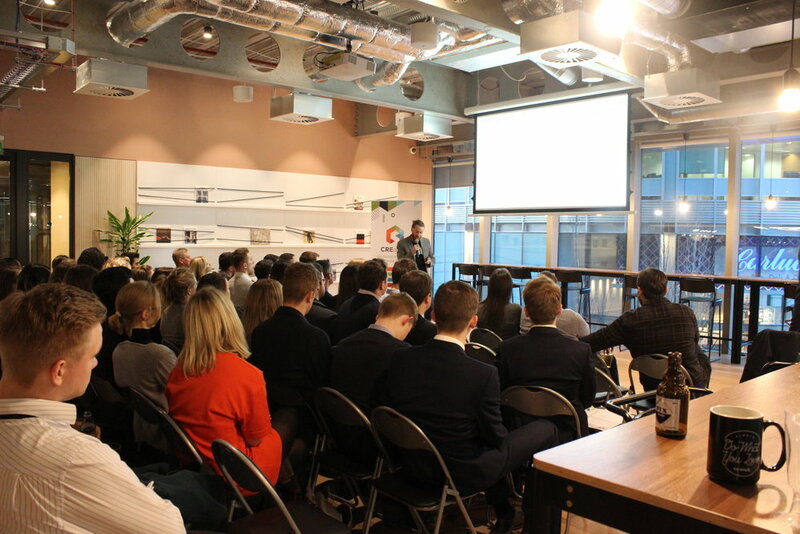 This event, hosted at British Land’s newest Storey office in Paddington, gave us expert insight into the changing nature of the occupier market from The Head of Flexible Office Teams at Knight Frank and British Land. Focusing on how flexible work space is affecting the office market and how traditional landlords are responding to this change. Long term rent: where is build to rent going? Build to Rent is now here to stay, but where is it going? 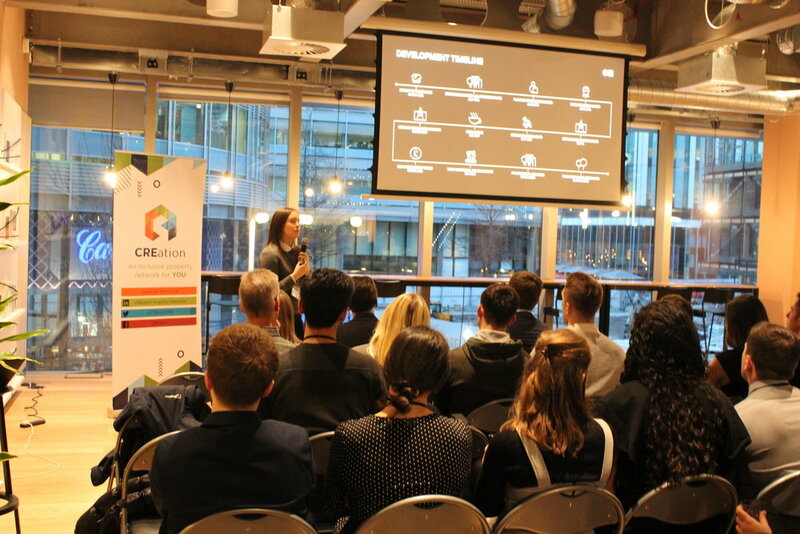 CREation presented its first London breakfast seminar discussing the future of this exciting sector. This session focused on how build to rent is affecting the residential property market, and what could that mean for us. Life Sciences is one of the fastest growing industries in the UK and the opportunities for those involved in the real estate sector is not to be underestimated. 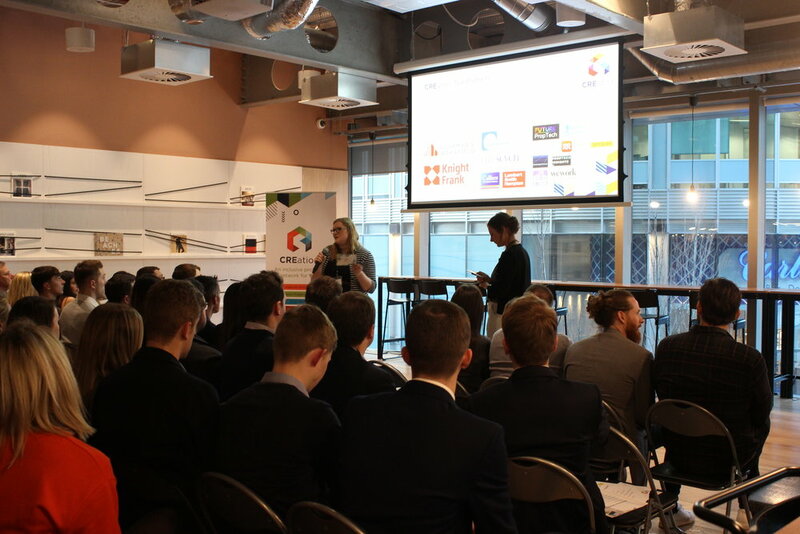 This was session the first of CREation’s Manchester breakfast seminars, enabling members to gain an insight into the fastest growing real estate sectors from industry experts. 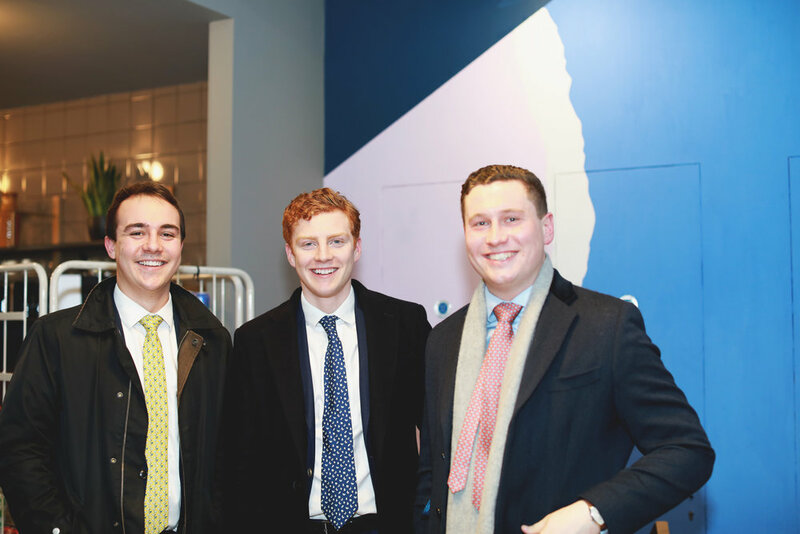 Over 120 property professionals joined us for an evening of cocktails at Balls Brothers in Mayfair as we welcomed many new faces to the industry, just beginning their journeys. Special thank you to our sponsor for the event - Real Rec Recruitment! CREation are partnering with MIPIM UK, the UK's largest and most insightful property event for professionals, giving 100 CREation members the opportunity to attend both days of the conference in October for free! 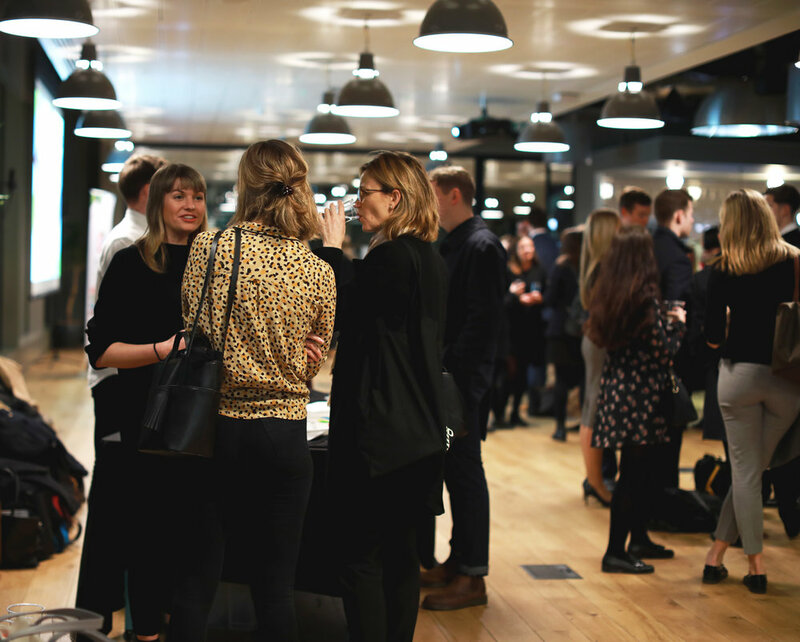 As well as access to a huge amount of talks from experts in the industry, CREation members are also invited to attend a private drinks reception hosted on the first evening of the event. Tickets have already been allocated to our members through the competition and sponsor companies, and we look forward to seeing all of you there. 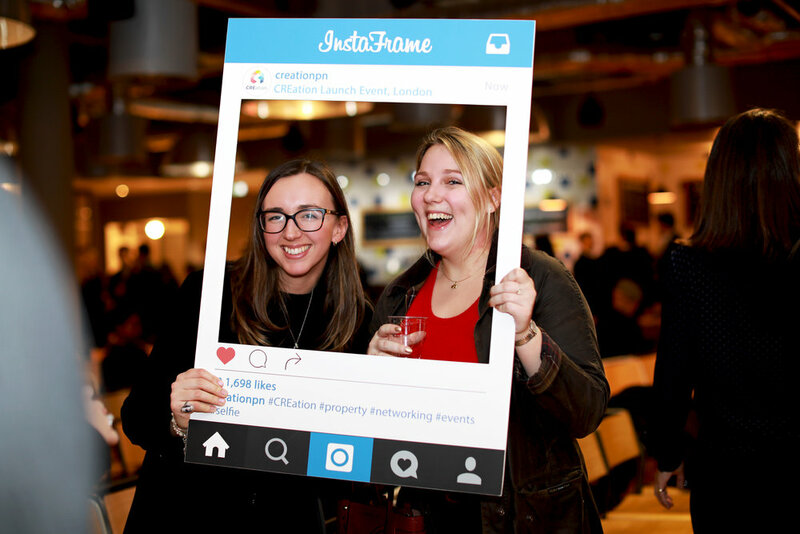 The CREation Summer Rooftop Party, held in association with Knight Frank, was a huge success. Over 140 CREation members had the opportunity to enjoy the last of the summer sunshine and get to know their industry peers. 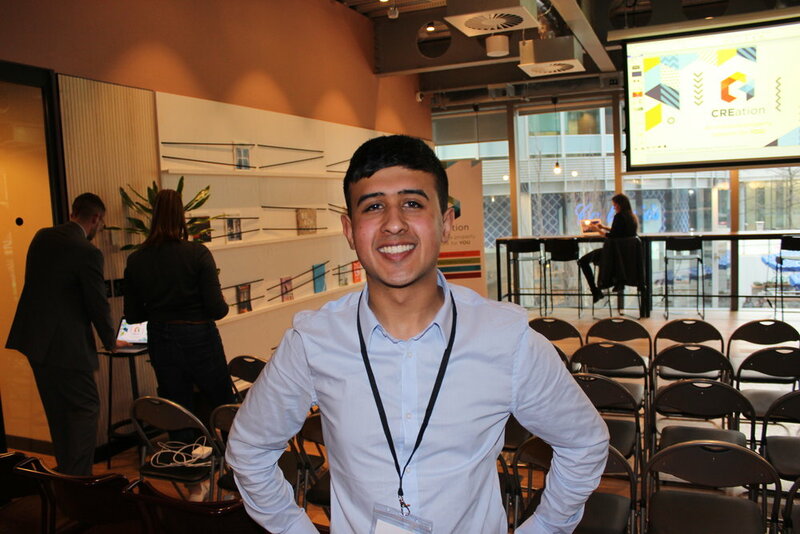 We hope you enjoyed meeting as many new and old faces at the event as we did. 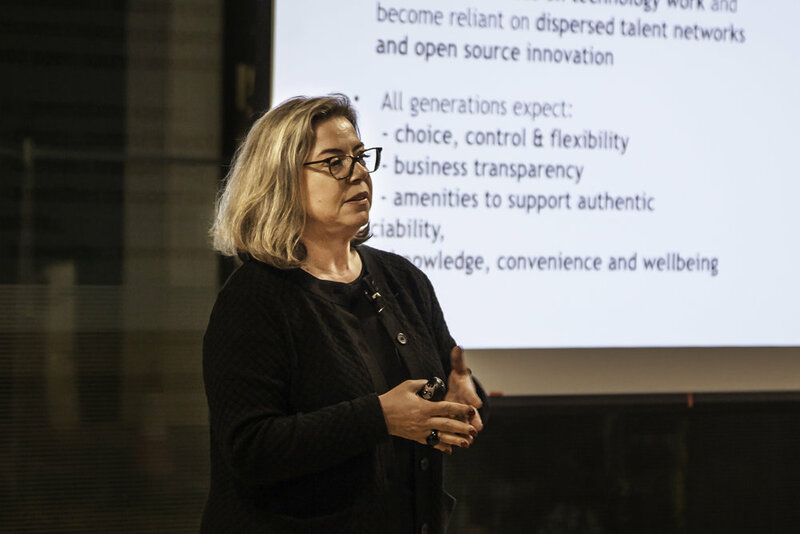 Special thanks to Holly Taylor and Peter Clark-Lewis, our wonderful workshop leaders, who held a brilliant interactive session which provided us with countless networking top tips. Another well attended event which tackled the myths and facts of Brexit and helped us to identify the implications of the referendum on the Real Estate Industry. 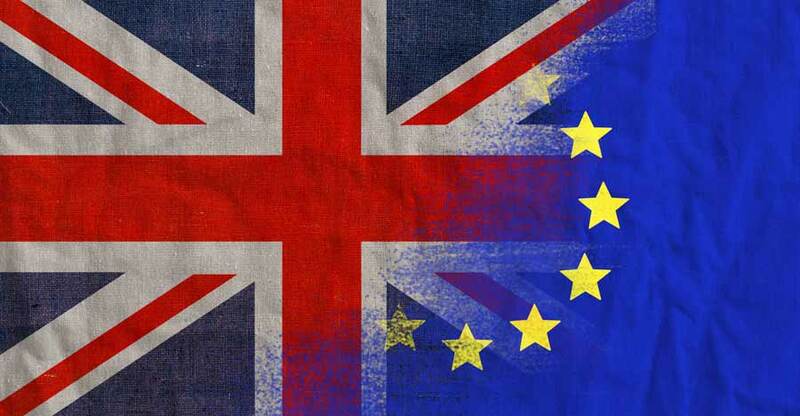 Whilst the outcome of the decision to leave the EU is notoriously difficult to predict, we paired with some of the leading experts in this field to help picture a post-Brexit property industry. 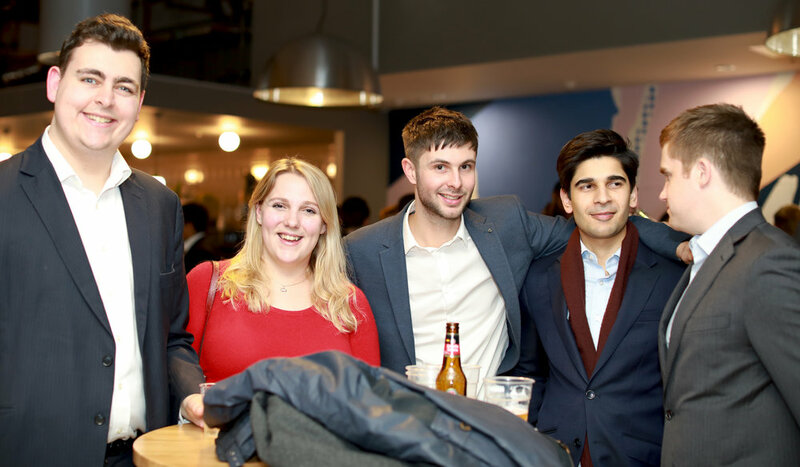 The first in our series of informal socialising events in Manchester was a great success. 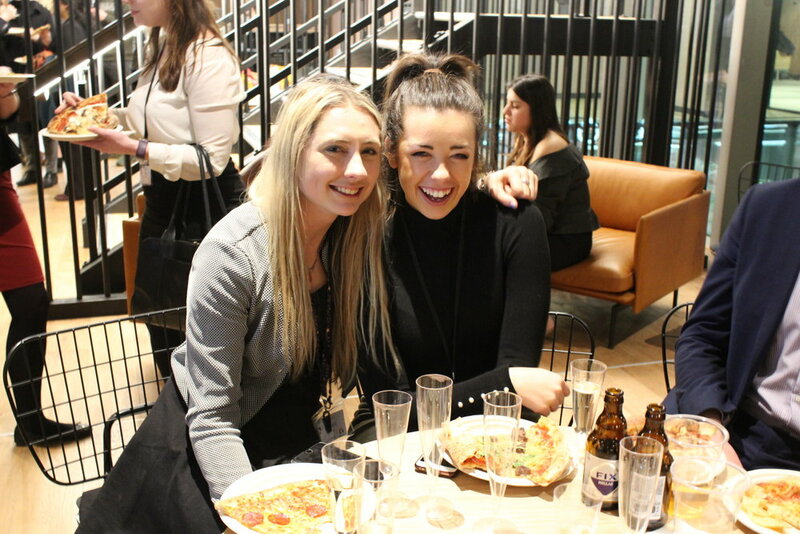 Held at the newly opened Anthologist, this casual drinks night gave young professionals the opportunity to meet and network with their industry peers in a relaxed environment. Real Estate is a notoriously ‘old school’ and has been largely untouched by Blockchain. With Blockchain set to transform the industry, we explored how ready we are for the change. 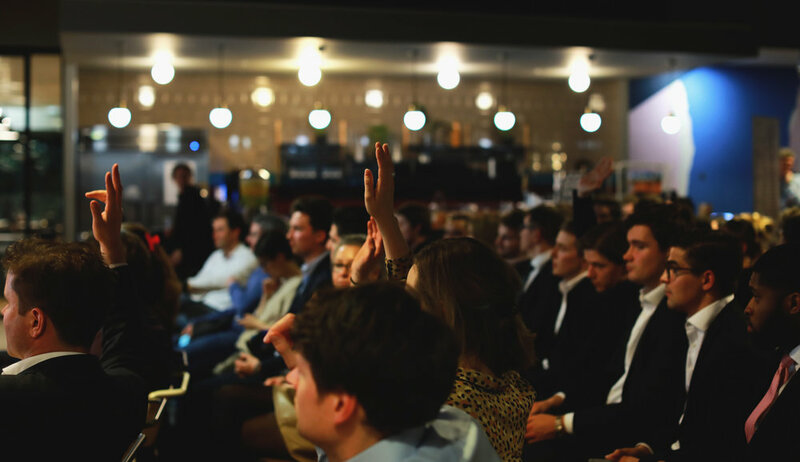 Speakers included Alastair Band and Angus Maidment from Blockchain Beginners, Neil Singer from Click To Purchase and Michael Lovell-Pank from Quadre. Few things have driven land values more than advances in transport technology. 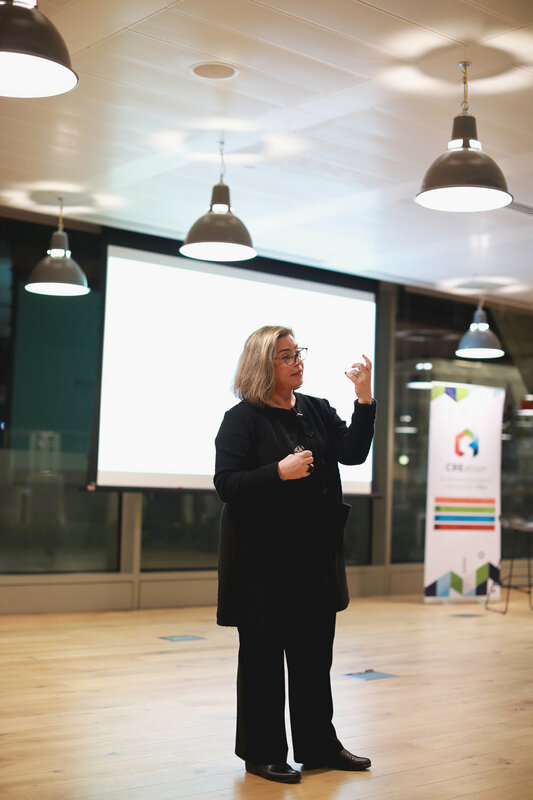 CREation hosted a lively discussion on the impact AVs could have on the Real Estate Industry at LSH on 17th May 2018. 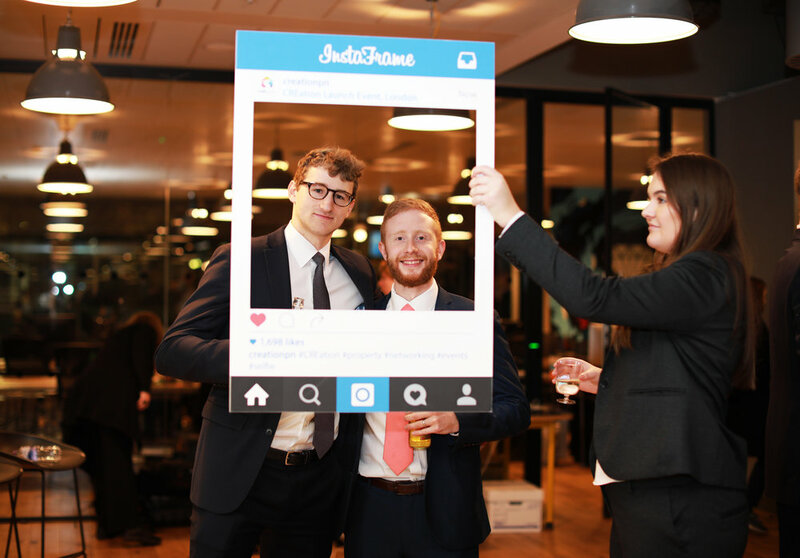 We had a great time at our first informal drinks session, sponsored by Real Rec Recruitment! 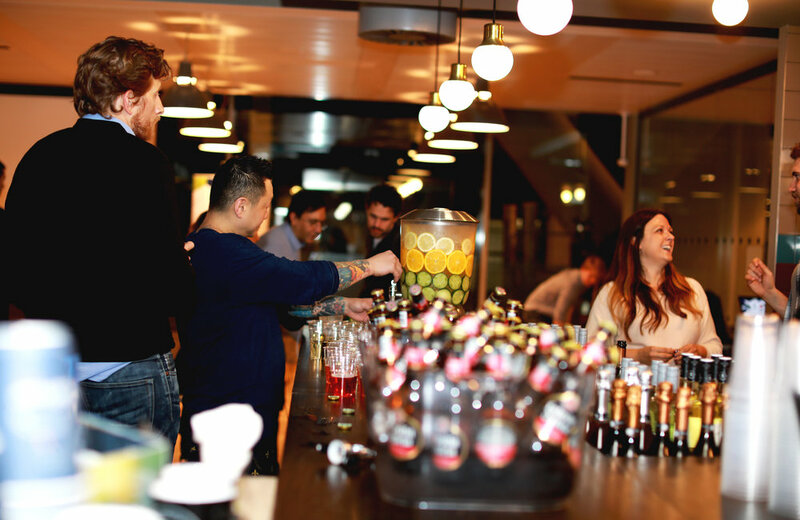 These informal drinks nights give people just starting out to meet and network in a more relaxed environment. 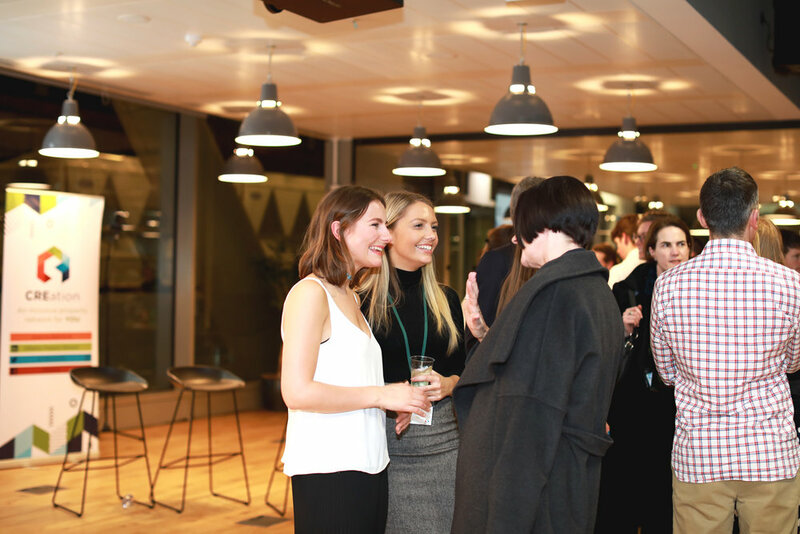 Real Estate professionals joined us from across London for some drinks and nibbles - and of course our Business Card Drawer! Prizes included £100 John Lewis Voucher for the lucky winner. 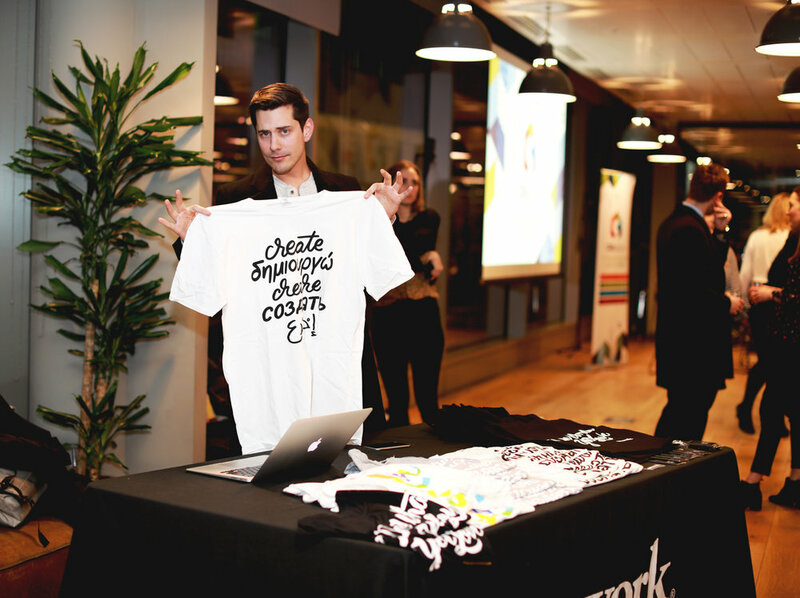 The Manchester CREation Launch, hosted by WeWork was a great success. 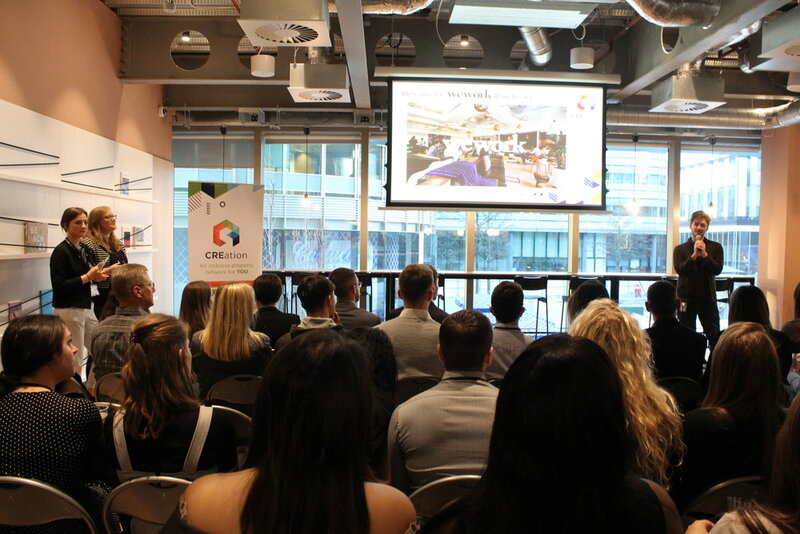 The oversubscribed event featured talks from Greg Miley, WeWork and Aisling McNulty, Bruntwood on the Development of Manchester. CREation partnered with Cambridge Finance to offer one full scholarship place for the two day real estate investment and financial modelling course. The Course took place in London on 13th and 14th March, 2018. The winner of the course scholarship is Holly Brown, stay tuned for news of the runners up. 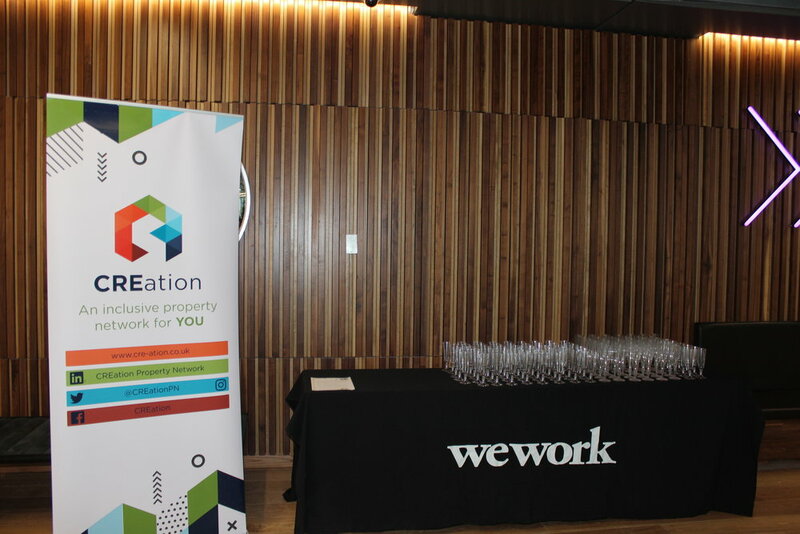 CREation Launch Party, hosted by WeWork at their Moorgate Office, was a success with over 300 attendees from 90 different companies. 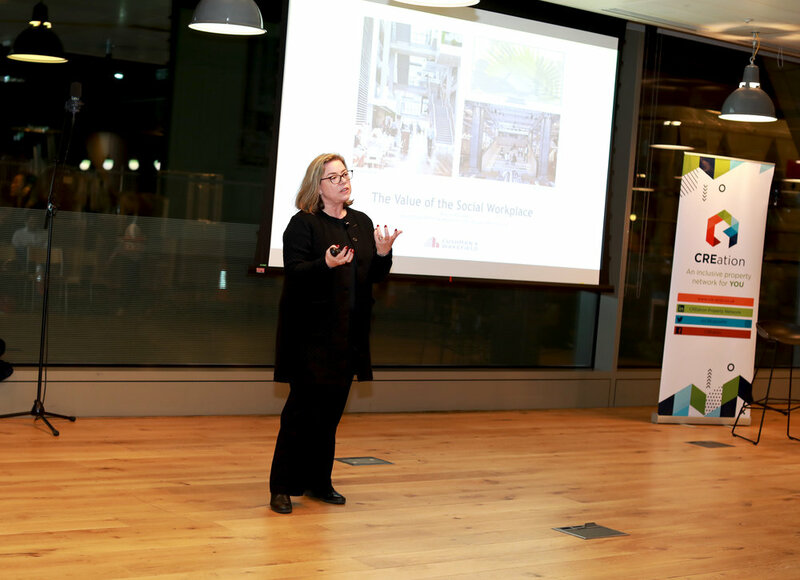 The fully subscribed event saw a talk from industry leader Despina Katsikakis (Cushman & Wakefield) on the ‘Value of a Social Work Place’ as well a panel discussion on ‘the Benefits of Connections in Modern Real Estate’, addressing issues such as technology in networking and the networking generation gap.